Sandals All-Inclusive Resorts: The easy island rhythm of a Sandals resort will inspire endless moments of romance and adventure. 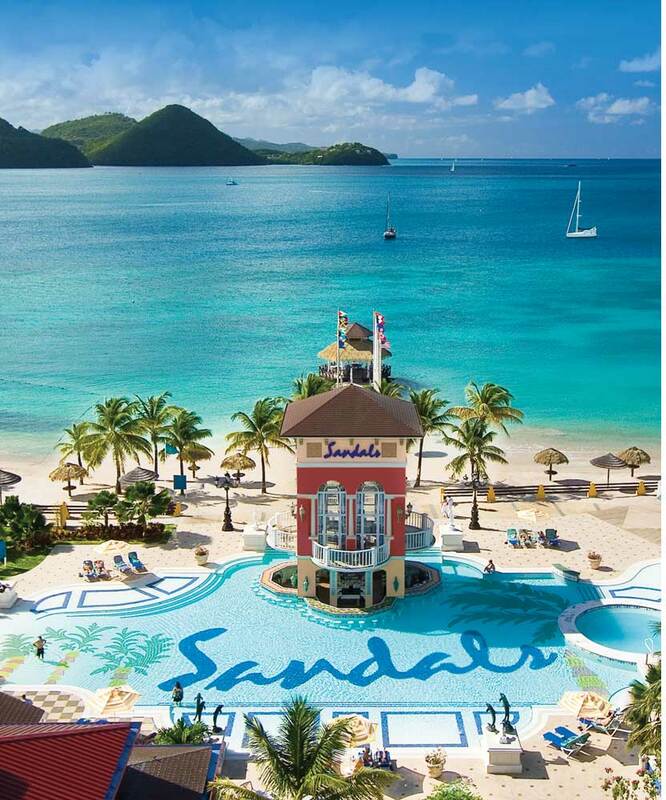 Sandals All-inclusive Resorts are the industry leaders in luxury, and are adult only properties (Age 18 and up). With 15 resorts located throughout the Caribbean and set on some of the most amazing beaches, your only question will be, which one first? Locations included Bahamas, Jamaica, Antigua, St. Lucia, Grenada, and Barbados. 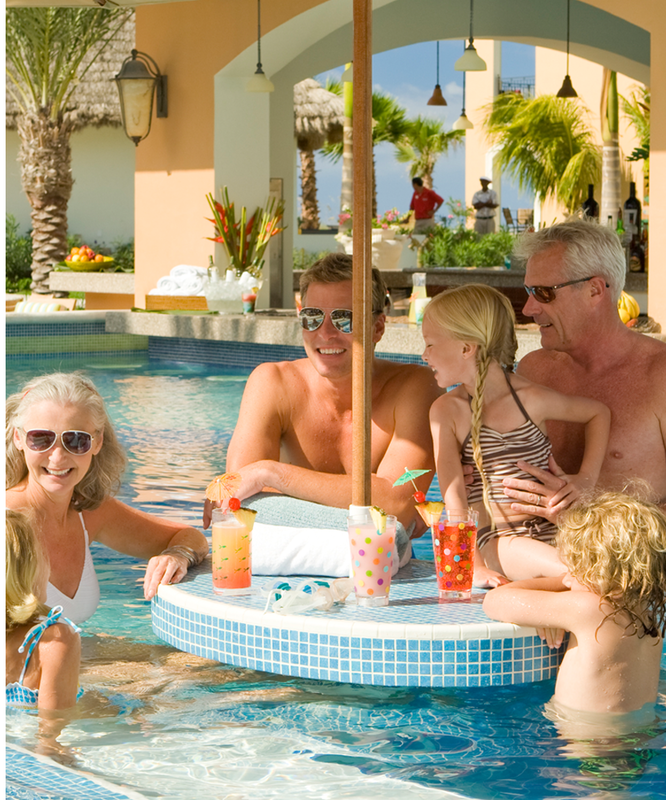 Beaches All-inclusive Family Resorts: Experience the wonder of Beaches Resorts where everyone, at every age, is spoiled with the vacation of their dreams. These properties include themed villages that will engulf you in the Caribbean, Italy, France, or maybe Key West, based on your interest. Each resort boasts Pirate Island, a water park filled with water cannons, slides and swim up soda bars for the kids. Beaches also has a partnership with Sesame Street and Xbox, which allows the Resorts to host Sesame Street parades, character breakfast, Tween DJ camp and club, Xbox lounge offering over 40 games, and more for kids of all ages. Accredited nannies and infant care givers are also one of our inclusions, in case mom and dad are ready for a quiet, beachfront, candlelit dinner. Locations: Turks and Caicos, Montego Bay, Jamaica and Negril, Jamaica. Interested in a Destination Wedding? Ask about our amazing Weddingmoon packages. Special offers for honeymooners and those interested in renewing their vows. Interested in checking current rates directly before speaking to a travel specialist? Click on the logo below and choose the Resort you are interested in for updated rates. Rates are subject to change. Call your Sunshine Island Travel Specialist for details on room locations and specials offered.